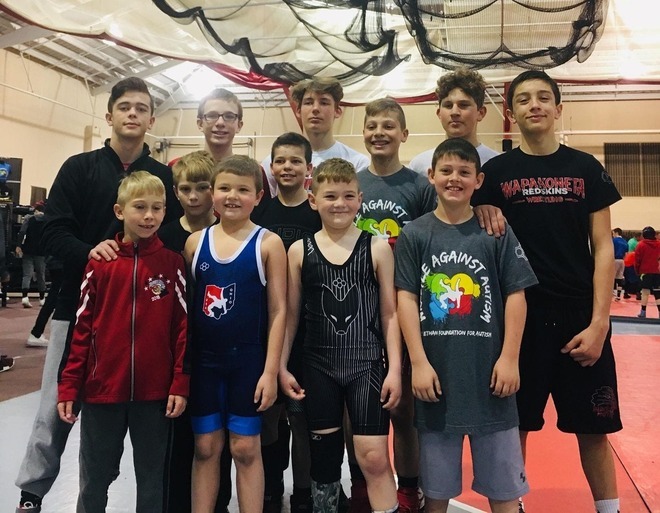 12 Wapak Grapplers Wrestle Against Autism! This year was the 12th Annual Wrestle Against Autism open tournament. Wapakoneta was well represented at this event in support of battling Autism. This tournament was created by Ohio referree's looking for a way to give back to their communities and the sport of wrestling. Now each year the proceeds go to helping those in need. Last year the proceeds went to purchasing a service canine for a person in need. This is a great organization and something our wrestlers should be proud of supporting. Not only gaining important mat time to improve and hone in their skills, but the sense of involvement in helping others. We are proud of our wrestlers and look forward to many years of representing the wrestling community and giving back. Wapakoneta brought some hardware back this weekend with four individual champions. Congratulations! Follow Wapak Wrestling Club Boys Wrestling to get email updates regarding News.